Our speciality is Heavy Vehicle Rescue, of all types. We are the big boys of Big Rig Rescue. You won’t get a more passionate team of truckies at your call, to help you out when you need to get back on the road again. Our team are hugely experienced and we carry in our fleet some of the most specialised equipment on our Rigs, ensuring we are efficient, minimise damage and risk and of course, know how to transport safely. We take pride on our fleet of state of the art trucks and transporters that help us get the job done smoothly and effectively even in the most challenging situations. We have two specialised, high security yards located in Rotorua and Taupo if you need to store your truck or machinery for a while, which ensures any cargo you are transporting is in safe hands. 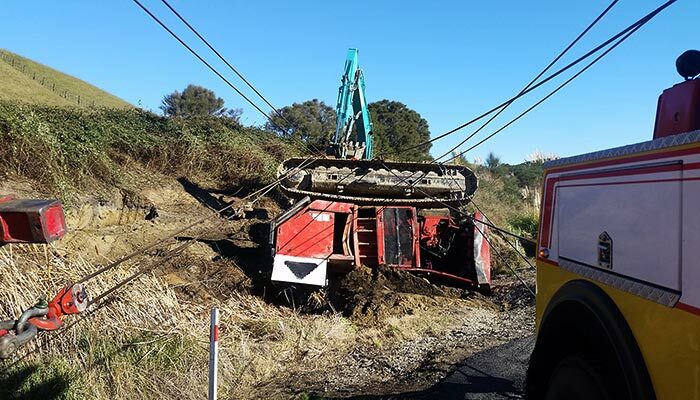 We are skilled and experienced in handling safety precautions required of us to operate on State Highways and forest roads, so you can relax. Been in an accident? Stuck and you can’t get out? Things gone pear-shaped? Talk to our professional staff and we’ll get the team on your case. Our team have over 100 years combined experience. We have the know-how, the commitment to a speedy and top quality service. Be sure to check out our gallery and meet our team. Trucks are our lives too, so trust us to get it right. With branches in Rotorua and Taupo, we can access you anywhere in the Bay of Plenty and Central Plateau region and beyond. We are happy to quote for a job and you can rest assured that our advice and commitment to you will get you on the road again (or off the road) in no time. We regularly work with the Police, as a preferred service provider too. We have the best team and gear of course! 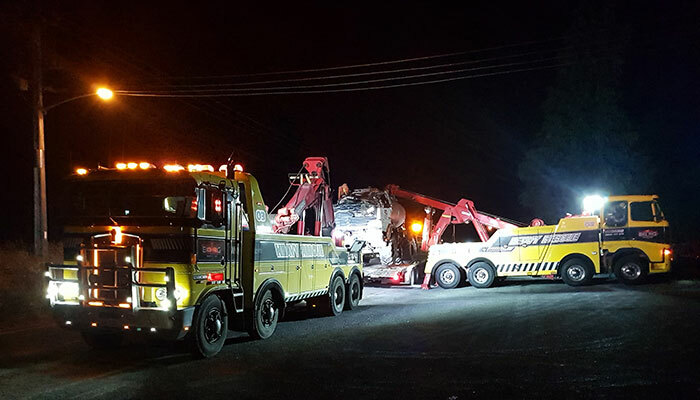 The most challenging task in towing is recovering wrecked or damaged trucks and equipment. We are drivers too, we know time is money and work quickly to get the best outcome for you. When it comes to towing, a monster is needed to haul a monster. 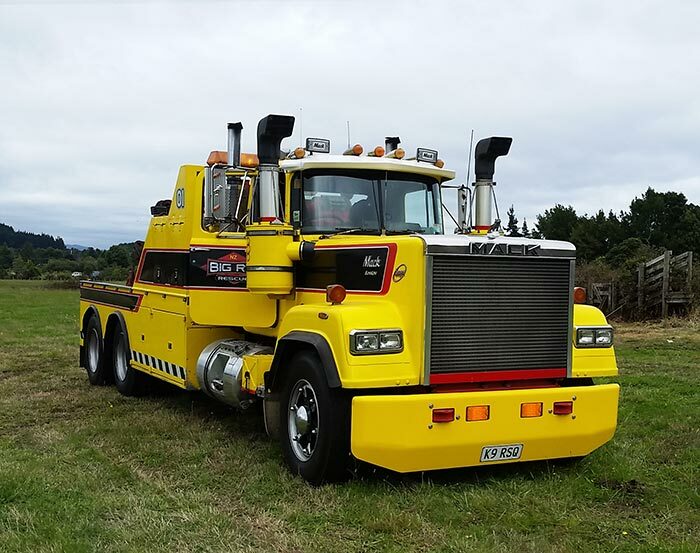 Big Rig Rescue have an arsenal of heavy duty tow and transportation trucks on standby at our Rotorua and Taupo locations. These long hydraulic stabiliser legs provide additional stability to the recovery vehicle, which enables them to anchor the recovery vehicle while winching / lifting. If you have been in an accident, first and foremost, check that everyone involved is ok and move to a safer area. Call 111 if someone has been hurt or if you suspect someone has been hurt. We would suggest that the police are called in any instance, as keeping traffic flowing safely will be essential. You will be required to stay on the line, so have a second person or phone to call us asap as this won’t be done for you. Even if your vehicle is blocking traffic, leave it where it is, particularly if there is uncertainty about what happened in the accident. 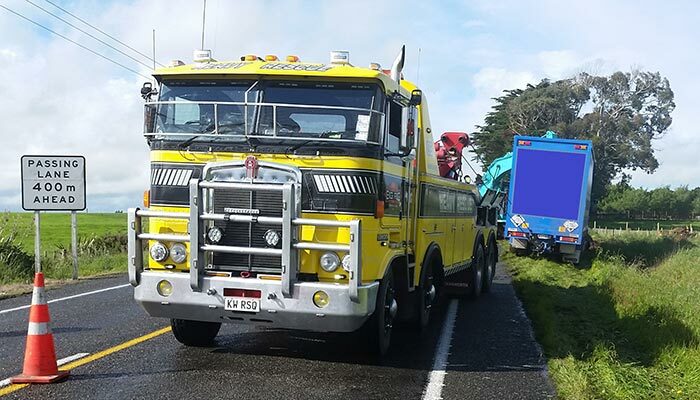 Big Rig Rescue is a Division of Truck Towing Company (NZ) Limited. 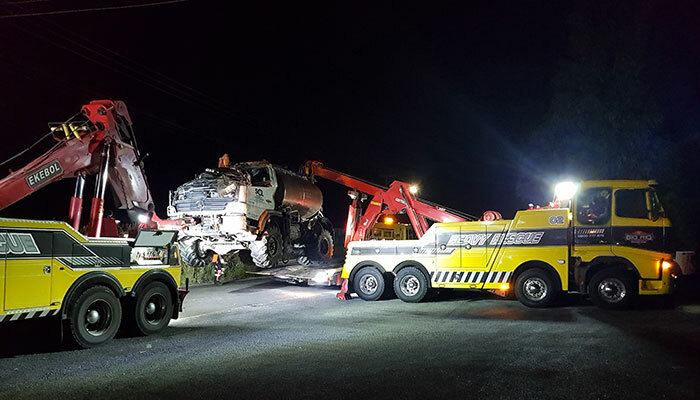 We are a 24 hour towing assistance provider for Rotorua, Taupo and Central Plateau regions. Call us if you need a rescue! 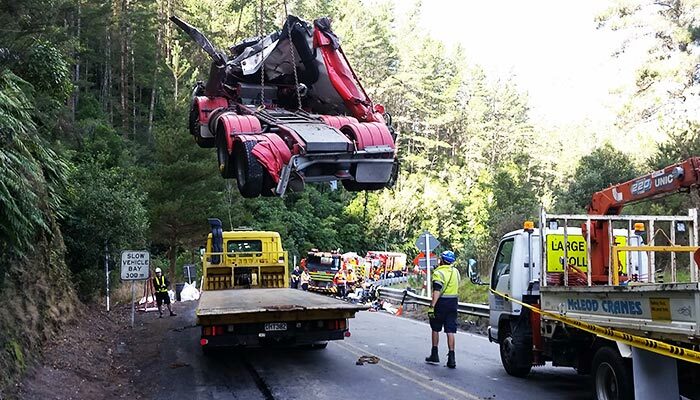 “Not only was it a scary experience to roll our fully laden Volvo down a bank on a State Highway, it was also a logistical nightmare. 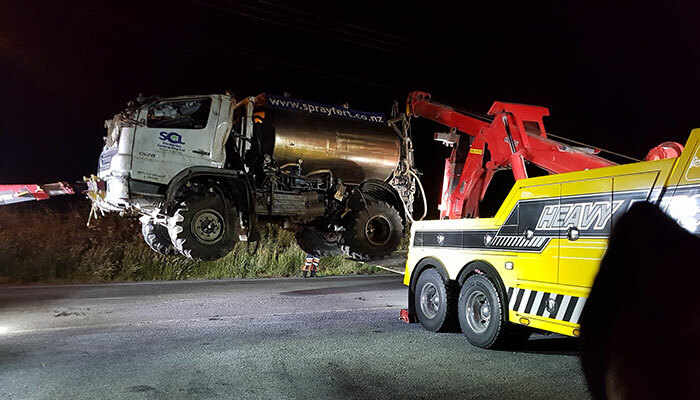 Fortunately for us, Big Rig Rescue were able to salvage our truck with their specialised gear and years of experience with similar situations. They managed traffic well, they got the job done quickly and were able to assist in salvaging cargo.